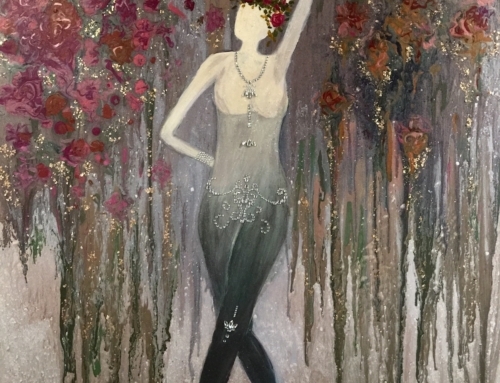 A 36×36 resin coated acrylic painting by Stephanie Schlatter. 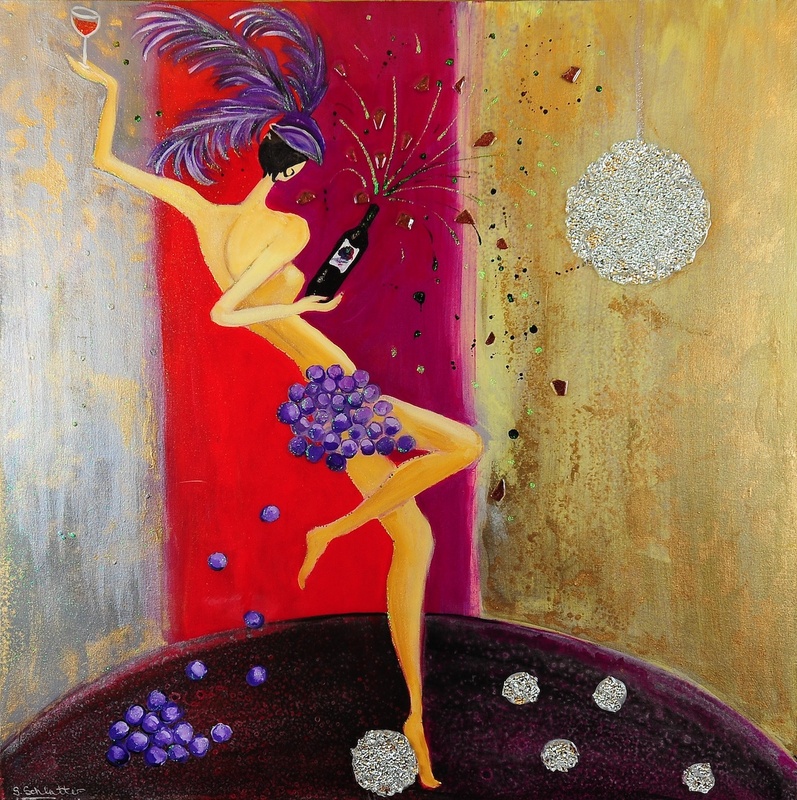 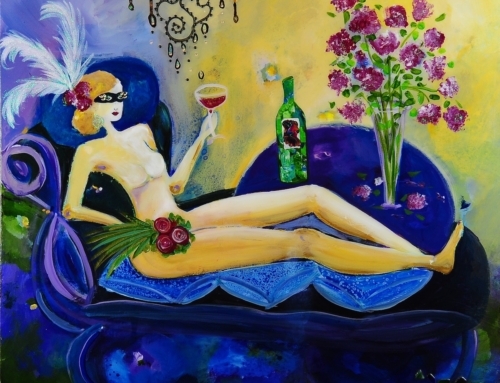 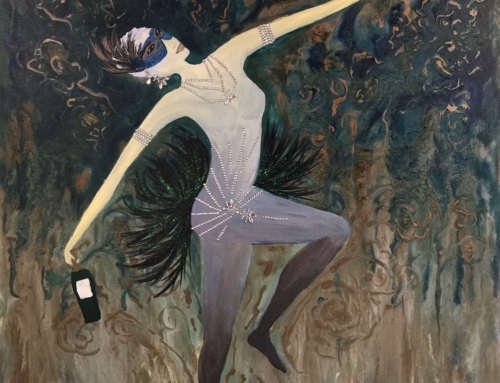 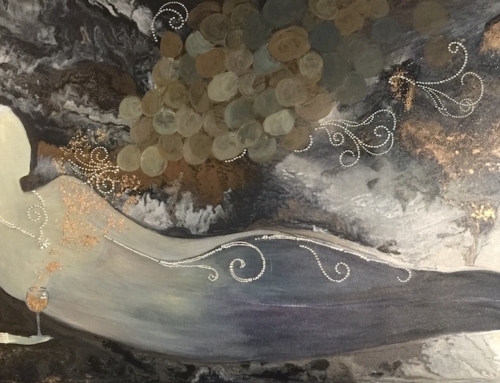 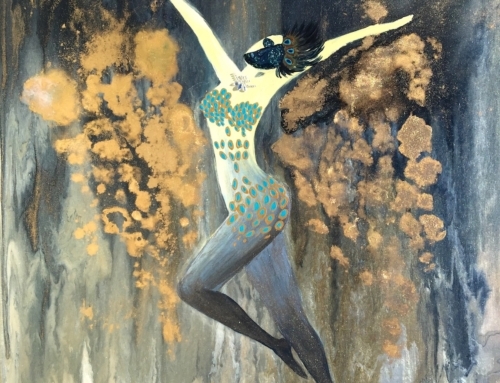 Fling, from the Goddess of Wine Series, celebrating the riotous joy of women. 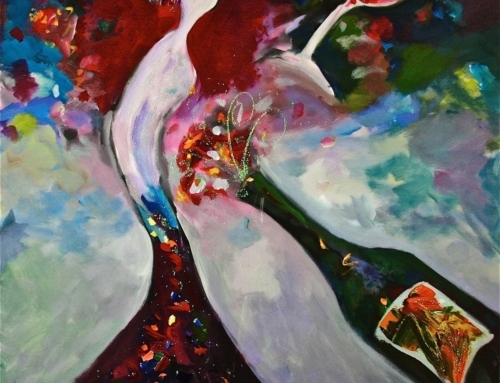 Fling was featured on the wine label for Fling at Silver Leaf Vineyard & Winery.